Stay Kapoor Inn is a hotel located in Block E, East of Kailash, Delhi. The property is just a 10 minute walk from the main road. Tourist spots like Qutub Minar and Red Fort can be easily explored. The rooms have beds with wooden furnishings and red cushions matching the upholstery. 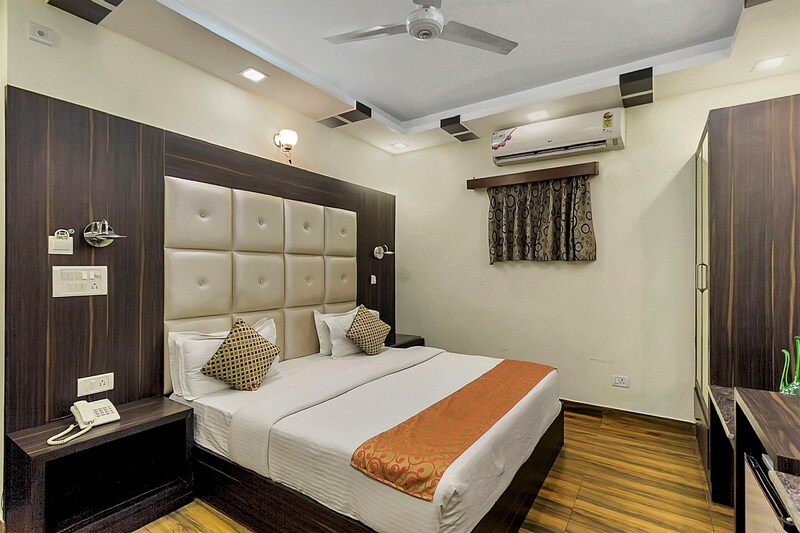 All the rooms of Stay Kapoor Inn come with a television, a room heater, a seating area, an air conditioner, and a mini fridge. The hotel provides 24*7 Free Wi-Fi, power backup, and parking facility to guests. Food joints like Sanjha Chulha, Enoki Restaurant and Oh! Calcutta are nearby.